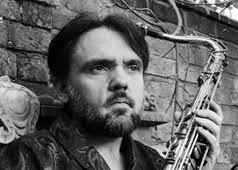 At the age of 11 James Tartaglia heard Cannonball Adderley, his life changed and he ended up on a scholarship to Berklee; at 21 he attended a lecture on Martin Heidegger, it changed again and he is now senior lecturer in philosophy at Keele University. Now he has fused his two passions into an intriguing album which tackles both deep philosophical concepts and deep jazz grooves. 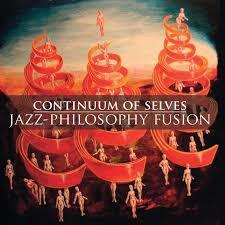 His band is called Continuum of Selves and the album is Jazz-Philosophy Fusion. He spoke to Peter Bacon. London Jazz News: Jazz-Philosophy Fusion - this is what you are doing now? James Tartaglia: Yes, but it took a long time to get here. Once I had become a professional philosopher, and the gigs inevitably started to dwindle (which was simultaneously a relief, and very hard to stomach whenever I saw other jazz musicians on stage), I made up for it by starting to record independently released albums with drummer Mark Huggett. We made four of these between 2002 and 2014, and each time I tried throwing a little philosophy into the mix. On the last one, we recorded a track called Schopenhauer’s Blues, and I think that was the birth of Jazz-Philosophy Fusion. LJN: Let’s talk about this hyphen. Is jazz simply the vehicle and philosophy the content - the driver and passengers, if you will? JT: The content of both a red traffic light and the word ‘STOP’ is the same; but these different vehicles of representation have very different expressive qualities and associations. Philosophy does indeed provide the conceptual content on the album; just as lyrics to songs about love may provide the conceptual content on a vocalist’s album of jazz ballads. But if we are thinking of the music as the vehicle, then the content clearly has a big effect on this vehicle; what the singer is singing affects how he or she sings it and how the musicians react (think Billie Holiday and Lester Young, for instance). And the vehicle (the music) clearly has plenty of content of its own, even if it is not obviously conceptual. If jazz is the driver and philosophy the passengers, it seems to me that we have here some seriously disruptive back-seat drivers! Perhaps a better analogy is with a ship. I set the destination in both the music and philosophy, and the band is the crew that works together to get us there. The destination (both musical and philosophical) is their goal, and hence jointly guides everything they do. But they do it their own way; with their own musical goals supporting my musical and philosophical ones. LJN: So, is the connection simply that you are interested in both? Or is there a deeper overlap for you between the two disciplines? JT: In a trivial sense the connection between the philosophy and jazz on this album is undeniably that I’m interested in both. That’s how it came about. However, unless I make no sense as a person, I think there must be some deeper connection. I’ve written an article trying to explain what it is (as us academics are wont to do), but I think the gist of it is this. Philosophy is about our lives; yours and mine. This can be easy to forget in some of the dry, technical debates that go on in philosophy, but it’s true nonetheless, and the ultimate point of those dry debates is to get philosophical insight into our situation. As such, philosophy is anything but a disinterested quest for truth. Philosophical ideas can have an effect on us; they can make us ask why we have chosen our goals in life and what the point of them is; or about who we really are; or about the passing of time and what death means to us. These effects, which you might think of as emotional or poetic, can be expressed by music; just as the effect of hearing a poignant lyric about love can be expressed, amplified and moulded by music. Jazz is particularly good at expressing this kind of effect, and philosophy offers it an untapped and very large reserve of them. If you think that there’s a good reason to express emotional / poetic effects in jazz, rather than through some other kind of music, and you also take my word for it that philosophy is full of potential for producing these effects – particularly important, potentially life-changing ones – then you know the justification for Jazz-Philosophy Fusion. Jazz-Philosophy Fusion by Continuum Of Selves (Jessica Radcliffe - jazz vocals; Sonja Morgenstern - conceptual vocals; James Tartaglia - tenor saxophone; Gareth Fowler - guitar; Steve Tromans - piano; David Hilton - electric bass; Tymoteusz Jozwiak - drums) is out now. The band will be performing it live at The Maze, Nottingham, on 15 September and Ivy Arts Centre, University of Surrey, Guildford, on 16 September.